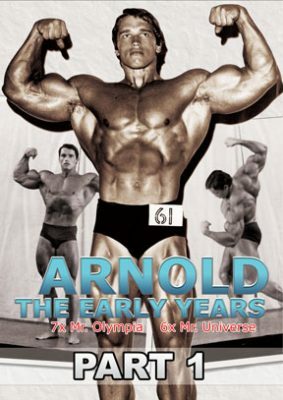 In part one we see Arnold on stage in England aged 19, doing curls and guest posing. Next aged 20 while outdoors in a garden he pumps up with DB curls before posing. This includes closeups of his amazing arms and is the earliest Arnold colour footage we know of. Voice over intro followed by: Arnold on stage in England aged 19 on the 28th of January 1967, doing curls and then guest posing. Next aged 20 while outdoors in a garden he pumps up with DB curls before posing. This includes closeups of his amazing arms and is the earliest Arnold colour footage we know of.